Creating a mobility friendly home is something you should strongly consider doing even if you don’t have a member of your household that has some issues with mobility. By creating a mobility friendly home, you’ll be able to age in place much more comfortably, conveniently, and most importantly, more safely. Who does a mobility friendly home benefit? There’s sometimes a bit of a misconception that a mobility friendly home only benefits those who are confined to a wheelchair. 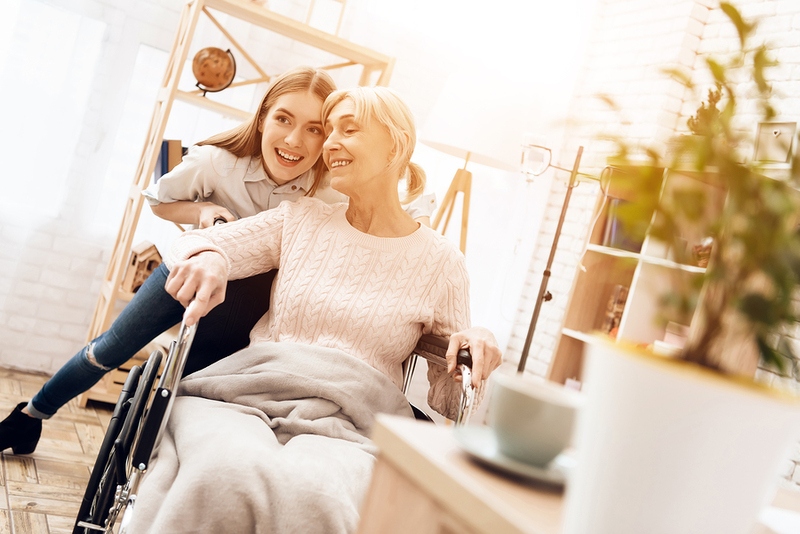 While it’s absolutely essential that you make sure that your home is safe and easy to use for anyone in your household that uses a wheelchair, they are not the only people who can benefit. People who are physically challenged in other ways, such as those who need a cane or walker to move around or who have general physical health issues (bad back, bad feet, bad knees, to name a few possibilities), will have a hard time moving around your home if it’s not mobility friendly. Additionally, people who are blind or who have poor eyesight may have issues getting around as well. Make sure your pathways are wide enough to accommodate a wheelchair. Use raised garden beds so that anyone who is mobility-challenged can tend to the garden without having to bend down far. Make sure your driveway and garage has enough space for a wheelchair to be loaded in and out of a vehicle. Don’t forget to build a ramp leading from your garage into your home as well. Try to use lower cabinets, counters, and sinks that can be easily accessed. Make sure there’s plenty of space in the kitchen to maneuver around for anyone who is in a wheelchair. A wall oven can be a good option for individuals with physical limitations since they won’t have to bend all the way down to reach into the oven this way. There are a few things you’ll want to do to improve the bathroom. If you have a bathtub, consider replacing it with a curbless shower. This way, a wheelchair user can just roll into it. Grab bars are a good idea as well to prevent potentially harmful falls. If you have a second or third floor, then the stairs are going to pose a real challenge for anyone who is mobility-challenged. You could install a stair lift. However, you might also want to consider making it possible to simply live on the first floor without having to go to the second floor often. You can do this by making sure that there is a bedroom and bathroom located on the first floor. Make sure all of your doorways are wide enough to accommodate wheelchairs. Add ramps to any entrances to your home that have steps. Replace your carpeting with hardwood flooring to make it easier for wheelchairs to move around. These are a few tips that you should keep in mind if you are planning to make your home more mobility friendly for anyone who may be physically challenged. If you’re looking to renovate your home to make it more mobility friendly, be sure to contact us at Community Renovations today.